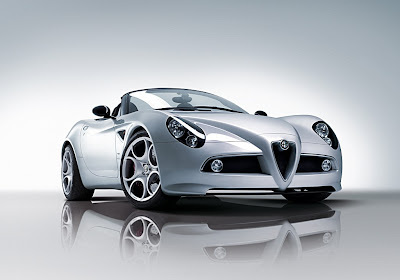 On June 24th, Alfa Romeo celebrated its 100th anniversary. 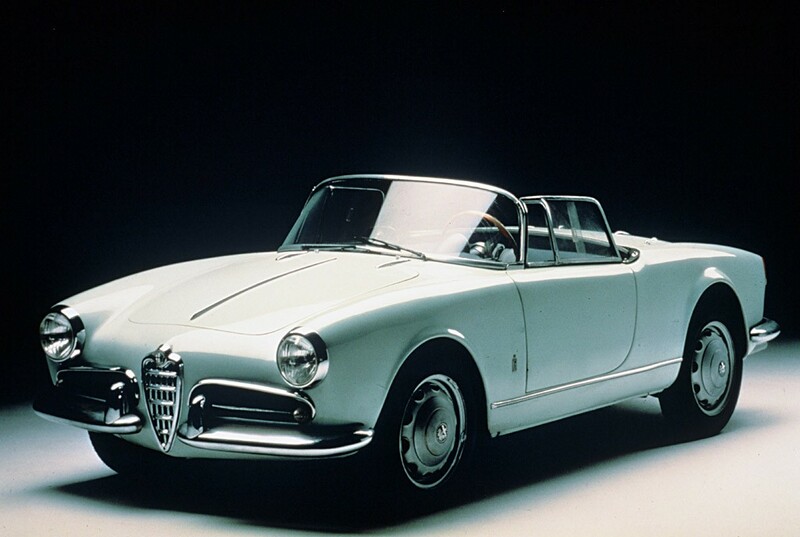 Alfa Romeo has produced some of the most legendary and exciting cars ever made. 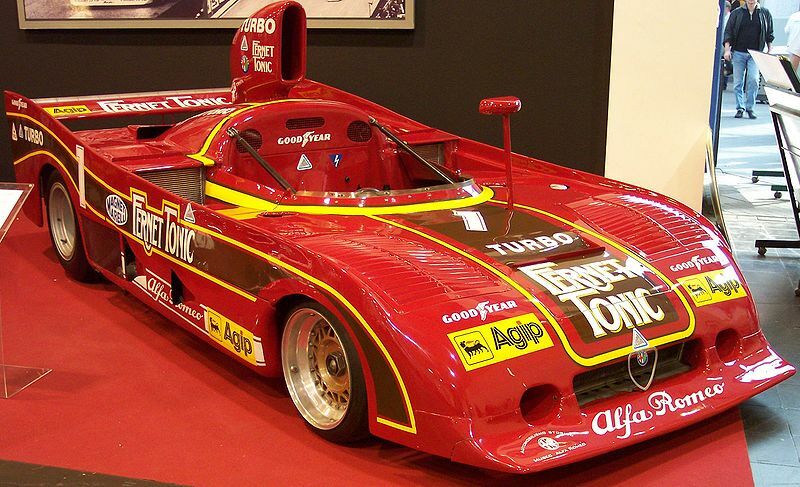 From the most expensive to the least, each car produced contains this DNA. 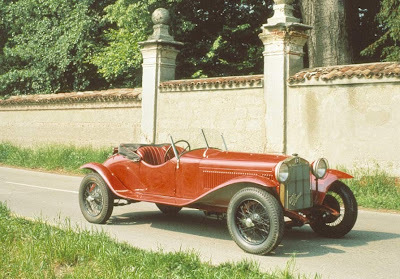 Alfa Romeo was officially established in Milan on 24 June 1910. That year, a group of entrepreneurs and businessmen acquired Società Italiana Automobili Darracq, the Italian branch of the French car maker, and its Portello workshops on the city outskirts, and established A.L.F.A. 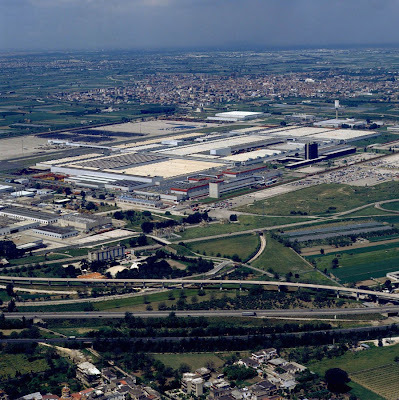 (Anonima Lombarda Fabbrica Automobili – “Lombard Automobile Factory, Public Company”). 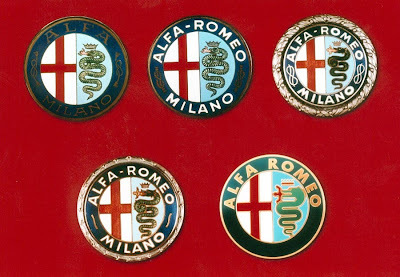 The emblem underlined the new company's ties to the city of Milan: a red cross from the city's banner and the Visconti family "grass snake" ("Biscione" in Italian). 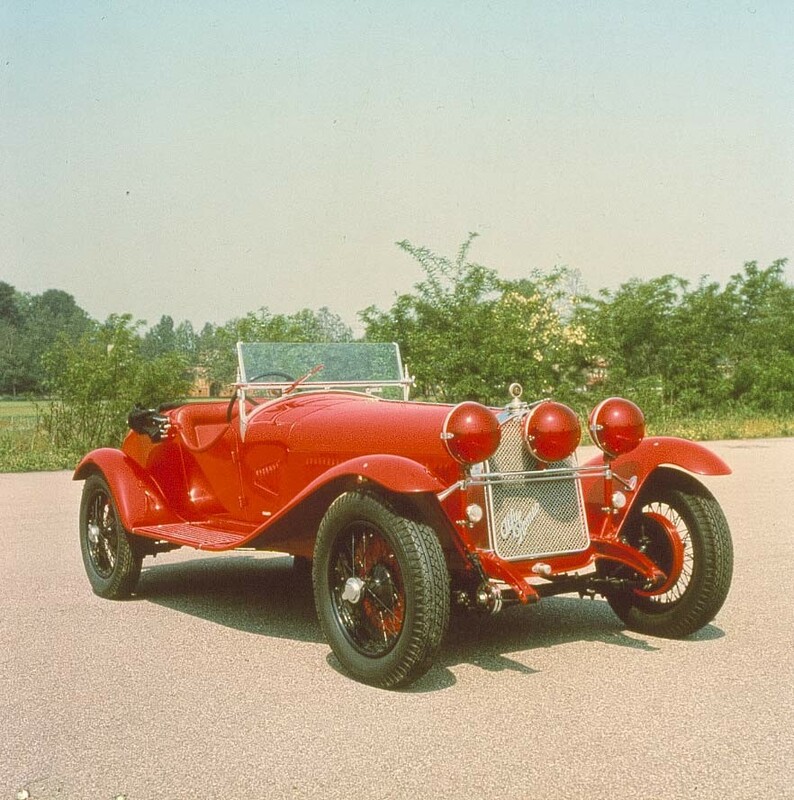 The first car to sport it was the “24 HP”, a model that stood out from the very beginning for its mechanics, performance and driving pleasure - features which will become by-words for the brand. The outbreak of World War I and limited resources created trouble for the company, which was acquired on 2 December 1915 by Neapolitan engineer and entrepreneur Nicola Romeo. The name was changed to “Alfa-Romeo”. The Portello plant, with a workforce of 2500 workers, was expanded and converted to war production. The plant made engine compressors, ammunition, aircraft engines and - starting in 1917 - trains. 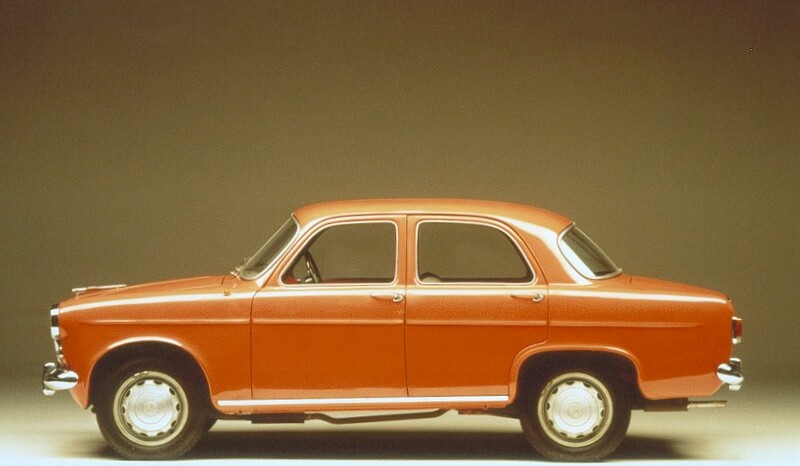 The company went back to making cars at the end of the war. Alfa Romeo made its first important leap forward winning Targa Florio in 1923 (the brand's first of ten wins) with the “RL TF”, which was also the first appearance of the four-leaf clover (“quadrifoglio” in Italian) racing emblem, and then in 1925 with the “P2 Gran Premio”, that won the first Automobile World Championship in history, the first of Alfa Romeo's five victories. 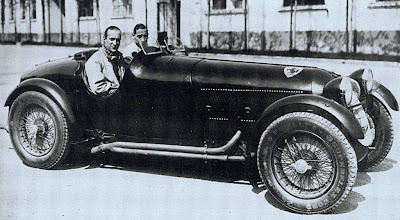 In the meantime, Romeo replaced Alfa Chief Engineer Giuseppe Merosi, the man who had created the first models and joined the company back in 1910, with Vittorio Jano, creator of the legendary Alfas of the 1930s. and the “Gran Premio Tipo B-P3” (1932). These models greatly contributed to increasing the “Quadrifoglio” record wins and elevated the technical prestige of cars made at the Portello plant. 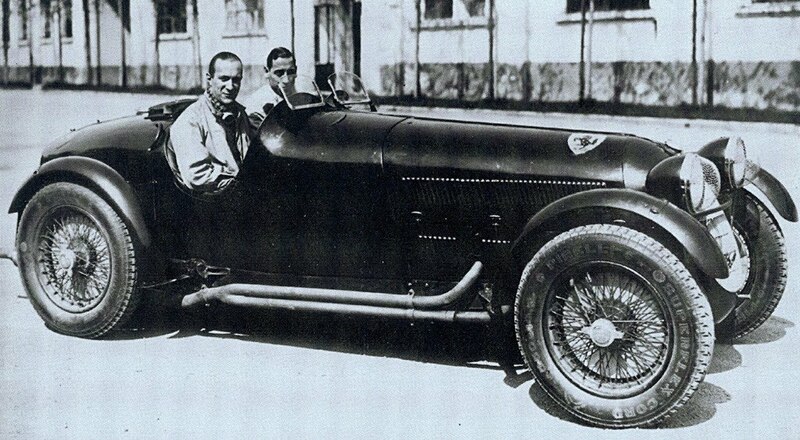 Vittorio Jano was responsible for the legendary "8C" eight cylinder in-line engine with supercharger. 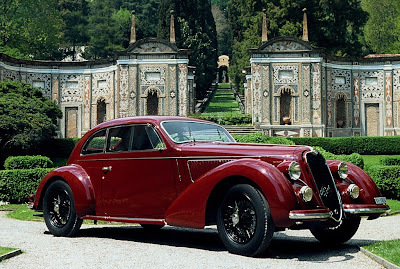 The 1930s were the years in which the Alfa Romeo legend took shape. 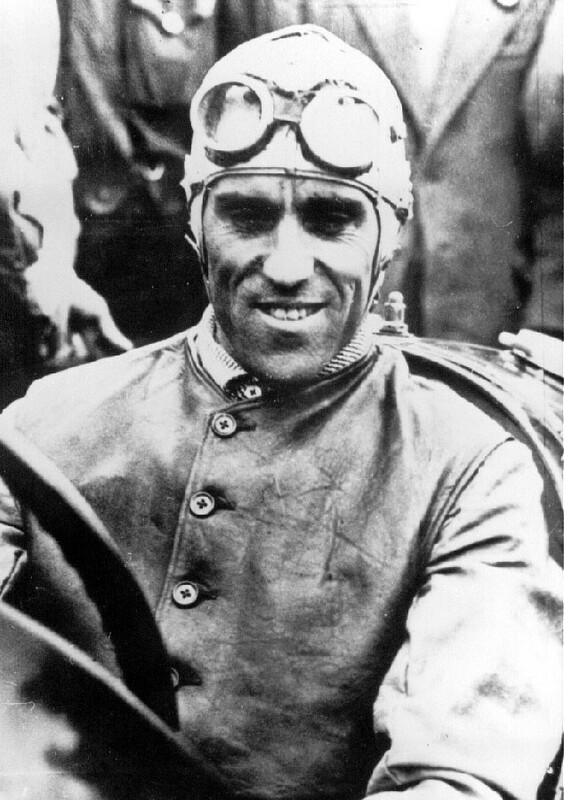 Engine reliability was undisputed and the names of the winning drivers - Antonio Ascari, Gastone Brilli Peri, Giuseppe Campari, Enzo Ferrari, Tazio Nuvolari, Achille Varzi - were on everybody's lips. 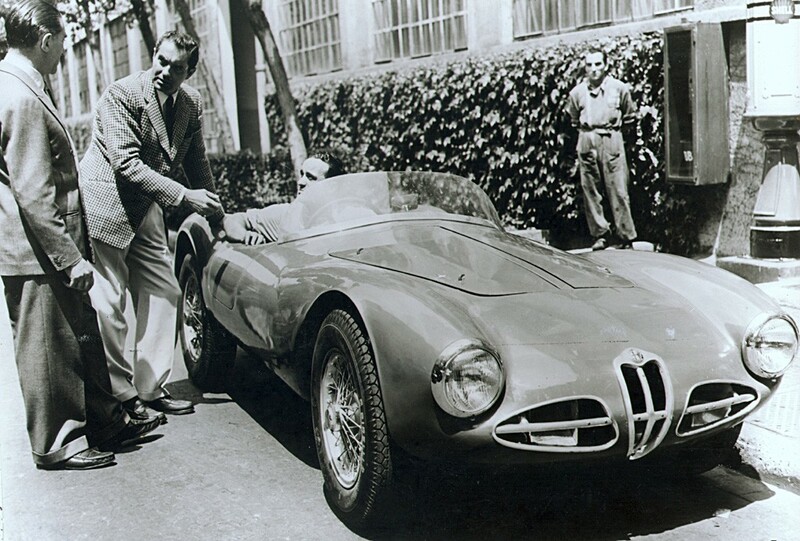 They won many legendary races: Mille Miglia (11 wins, an undefeated record), Le Mans 24 Hours (four consecutive editions), Targa Florio, and a very long list of international Grand Prix. 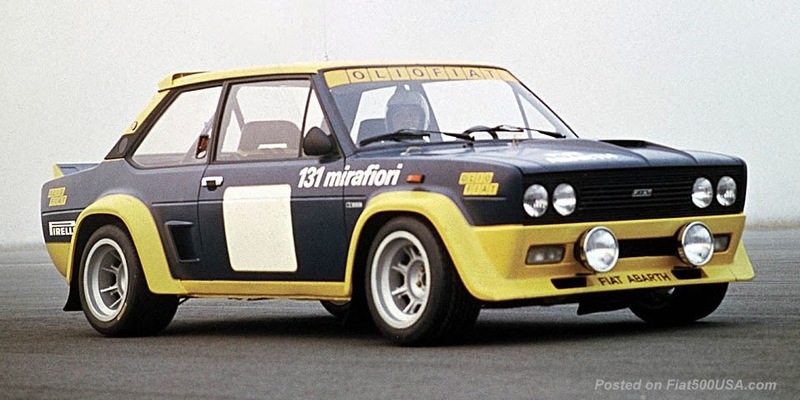 In addition, the lessons learned from racing were transferred to standard production models. 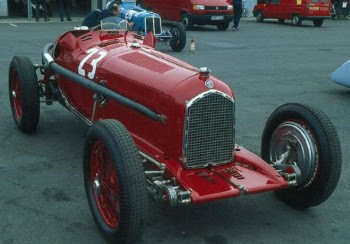 The worldwide recession that followed the Wall Street Crash of 1929 had repercussions on Alfa's expansion: the company was taken over in 1933 by IRI (Istituto per la Ricostruzione Industriale - Industrial Reconstruction Institute). 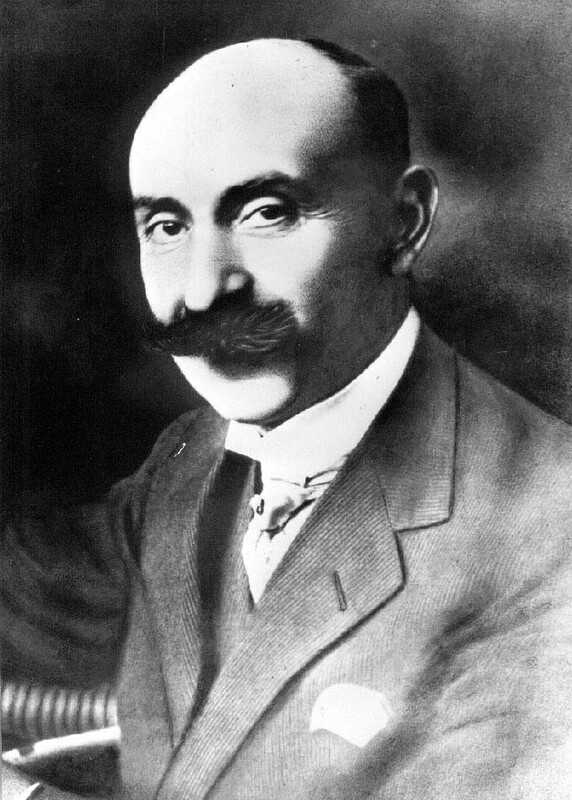 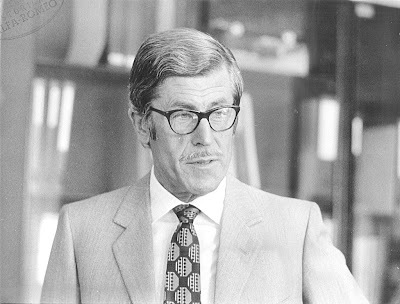 Ugo Gobbato was appointed Managing Director. 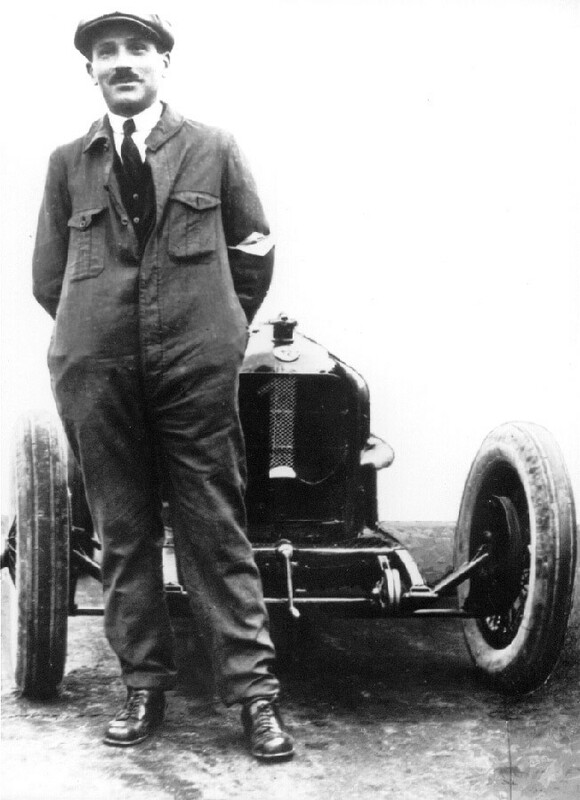 He rationalized and reorganized production focusing on the core business of aircraft engines, industrial vehicles and touring and racing cars. The company stopped managing its own racing team that year and its “8C2300B” cars were given to Scuderia Ferrari. Results were brilliant: Alfa won more races than any other manufacturer in 1934, and racing even outshone standard production in 1936. 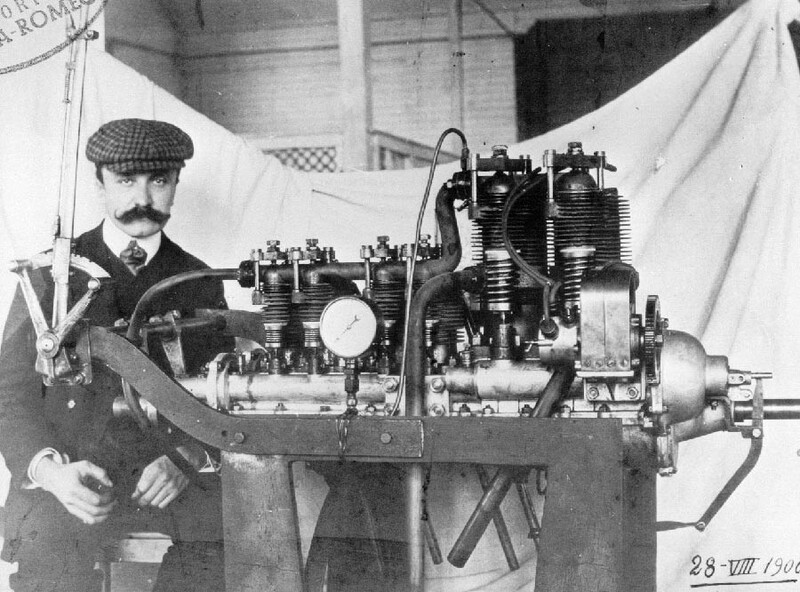 Aeronautic production reached nearly 80 percent of the entire yearly revenue. 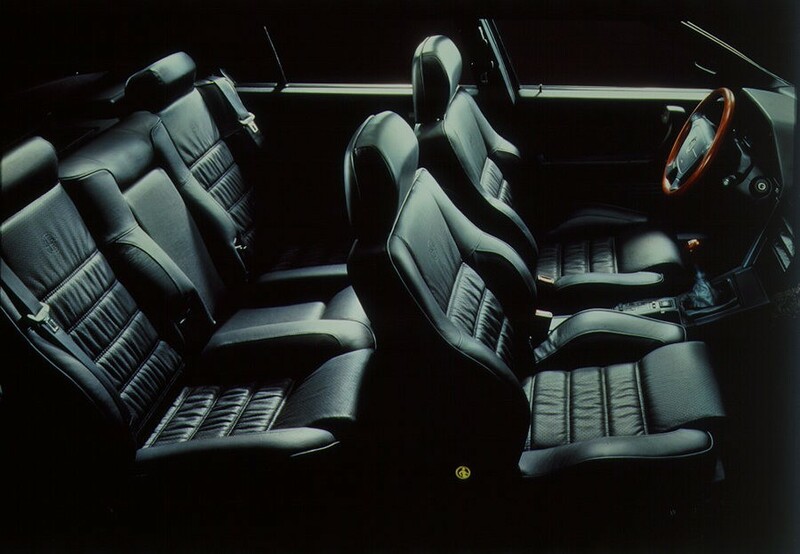 New orders came in, also from abroad, and a new plant was opened in Pomigliano d'Arco (Naples) at the end of the decade. The outbreak of World War II unsettled the company's ambitious plans. As with most Italian industries, Alfa converted to war production and its plants were bombed by the Allies (the Portello plant ceased operations all together following the damage it received on 20 October 1944). 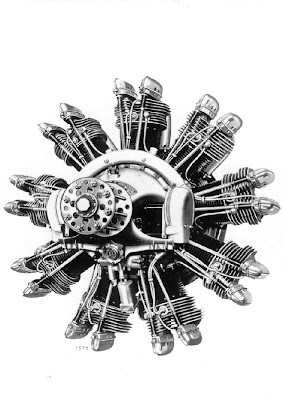 Work resumed the following April after the peace treaty was signed but the workshops had been damaged and there were no components for making aircraft engines, coaches or cars. So the eight thousand workers of the Portello plant made electric cooking ranges, metallic furniture, doors, windows and shutters - in other words, the objects needed to rebuild a country. 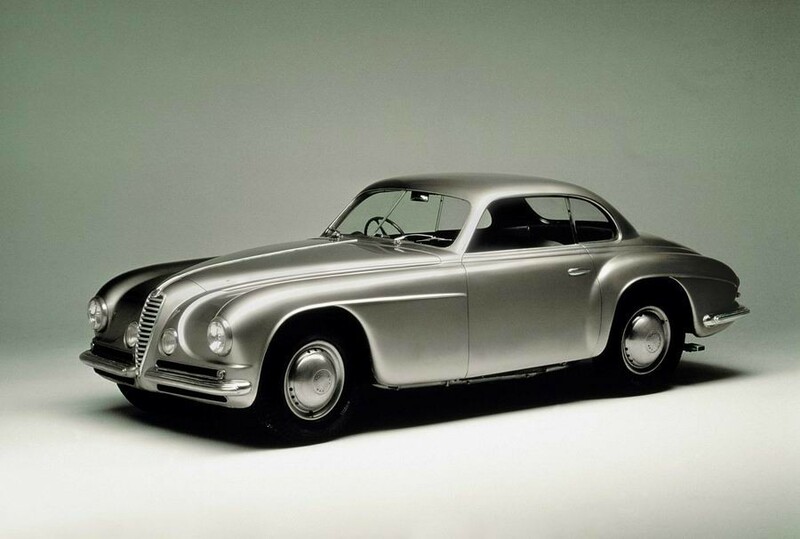 Auto building was resumed only in 1946. 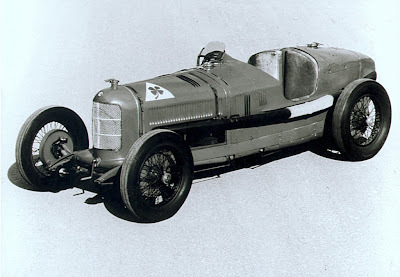 Pre-war 6C 2500s rolled out of the factory with 158s salvaged from the race tracks..
New versions (Freccia d'oro and Villa d'Este), fitting an innovative steering wheel mounted gear shift, soon arrived. The 1900, the first Alfa with monocoque body shell, was designed by Orazio Satta Puliga (who had joined the company in 1938) in 1950, and the first assembly line was opened at the Portello plant. 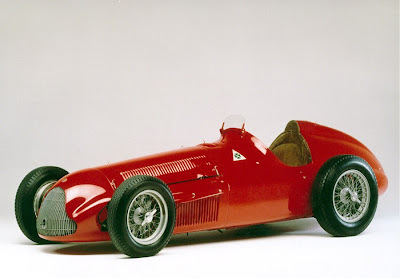 The supremacy of the Alfa 158 in Grand Prix was absolute and Nino Farina won the Formula 1 World Championship in 1950. 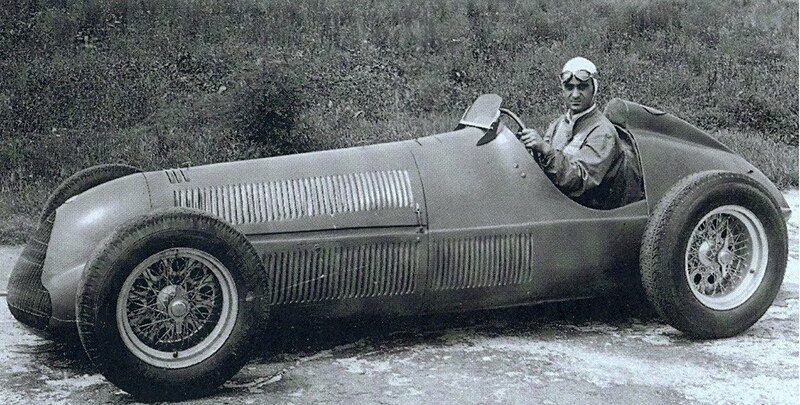 The following year was legendary Juan Manuel Fangio's turn: he won the second Championship behind the wheel of an Alfa Romeo 159 fitted with the most powerful 1500 engine ever made delivering 425 HP at over 300 km/h. 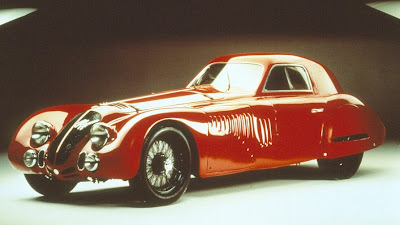 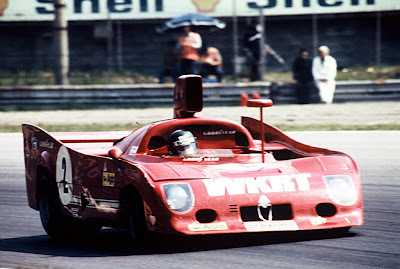 Straight afterwards, Alfa decided to retire from Grand Prix competitions but kept on competing in the Sport category with the “1900 Disco Volante”, a flying-saucer shaped car capable of reaching a top speed of 225 km/h. 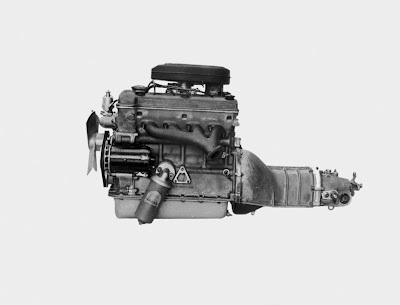 In the meanwhile, the company concentrated on the production of standard cars, industrial vehicles, aircraft and naval engines, and diesel engines for industrial applications. 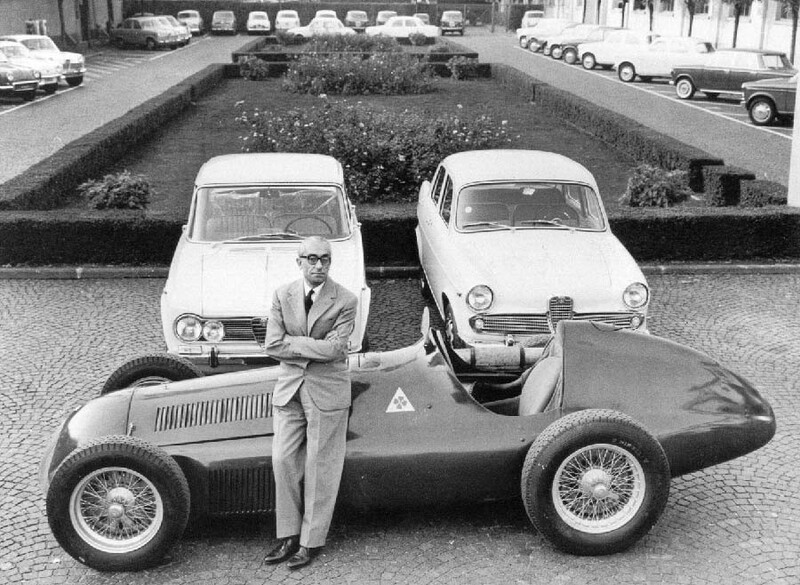 Following the IRI reorganisation in 1948, Alfa passed into the Finmeccanica sub-holding. 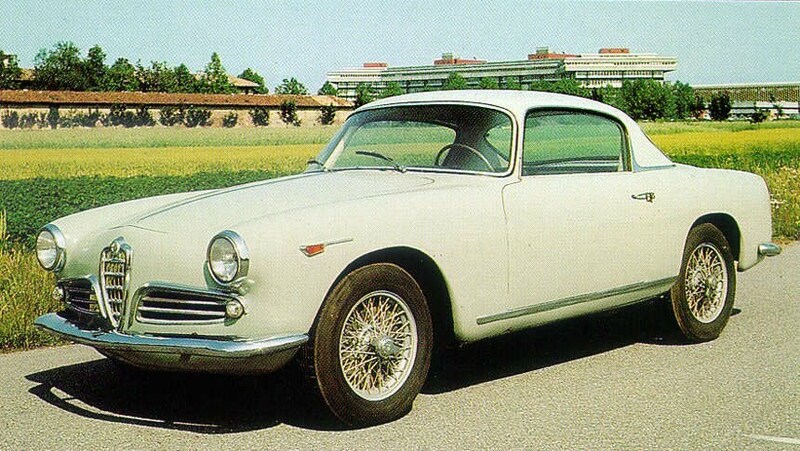 the “Berlina” (1955) - would be crucial, and not only for the history of Alfa: it established new parameters (this was the first standard production car with a twin cam engine entirely made of aluminum) and embodied Italy's willingness to emerge from the dark years of the war. 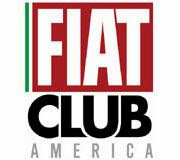 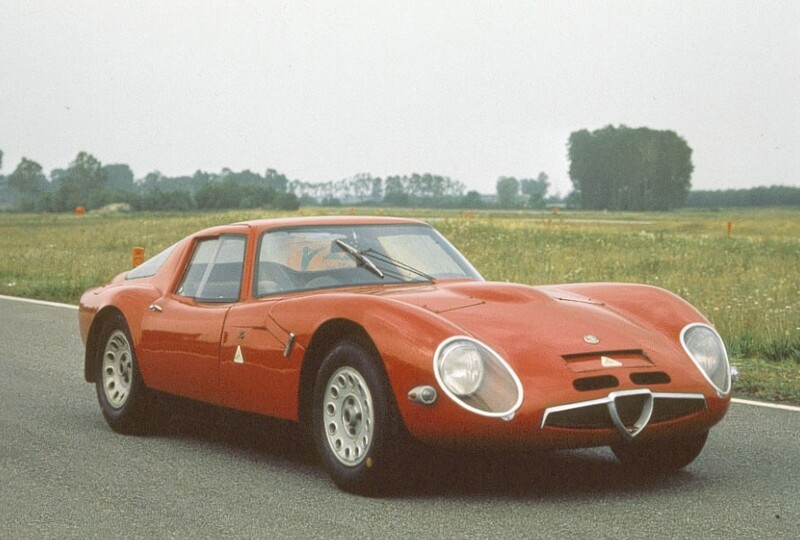 Furthermore, it consolidated Alfa Romeo's vocation as a "major auto maker". 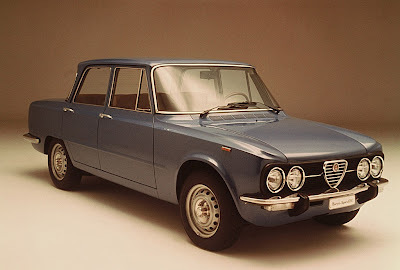 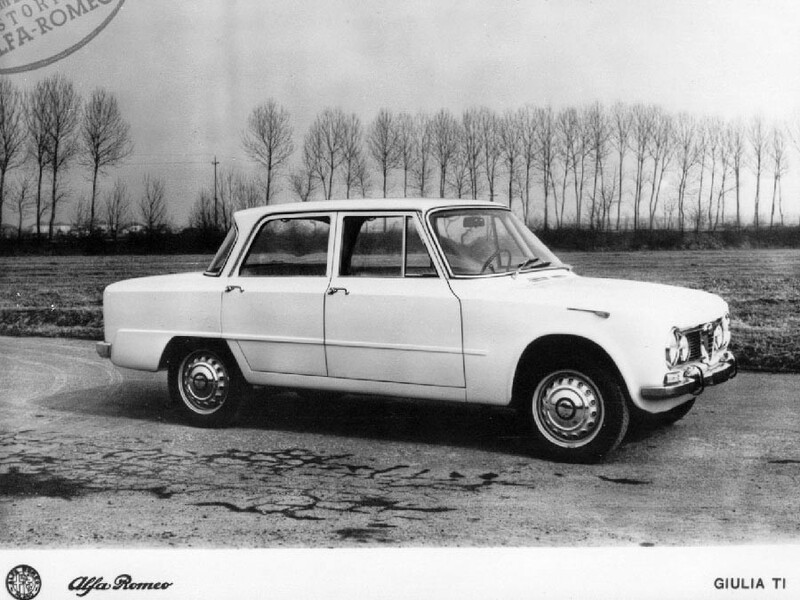 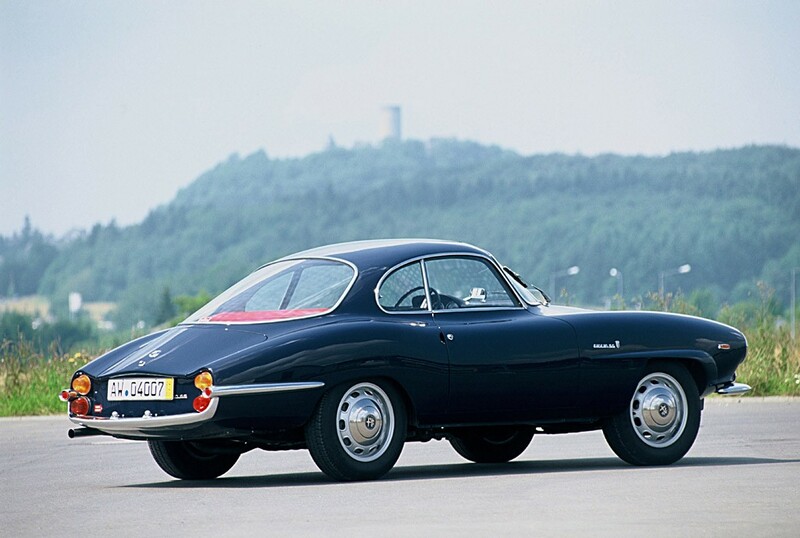 The 1960s started with the success of the “Giulia” (1962), which developed the philosophy of the earlier “Giulietta” with new proportions, forcing Alfa Romeo to expand and open a new plant in Arese near Milan. 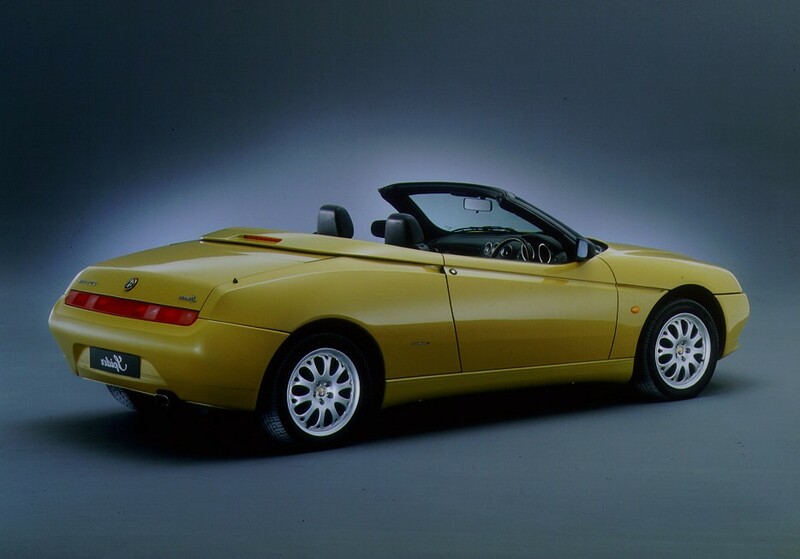 the “1750” in saloon, coupé and spider versions - reached the outstanding goal of one million units made. “33” (from ’69 to ’71). 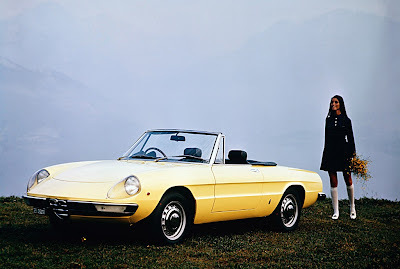 The 1960s were fruitful years for the company: cars were sold worldwide and ties with the United States - a particularly good market for Alfa Romeo - were consolidated. 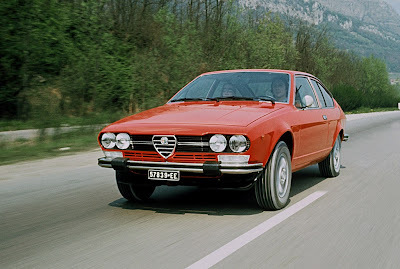 As a result of the forward-thinking managerial skills of Giuseppe Luraghi, CEO until 1974, and the remarkable engineering skills of Orazio Satta Puliga, Alfa Chief Engineer, who created all the models up to the "Alfetta", Alfa Romeo reached the peak of its development. The Portello plant, by now incorporated in the spreading city of Milan, was insufficient. Production was gradually transferred to a new plant (with an area of over two million and a half square meters) which was opened in Arese and a prototype test track was opened in Balocco (Vercelli). 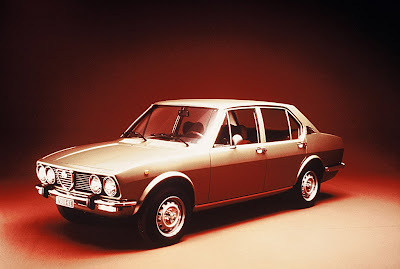 Following the high increase in demand, Alfa Romeo planned the opening of a new plant in Pomigliano d'Arco (Naples): the foundation stone was laid on 29 April 1968.
the "Alfasud", a compact entry-level car equipped with a number of sophisticated mechanical solutions (flat-4 “boxer” overhanging front engine), was introduced in 1971. 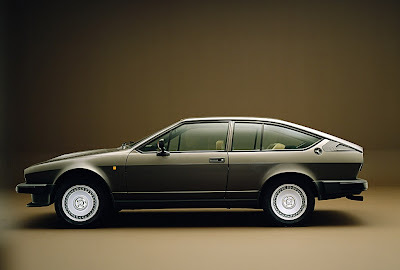 Production of the ”Alfetta” started in Arese the following year. 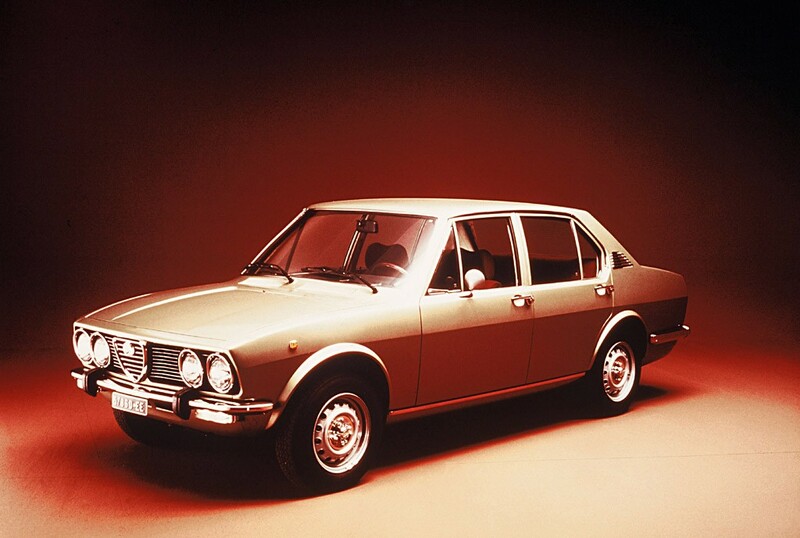 followed by the lower segment “New Giulietta” (1977) saloon, were the backbone of production at the Arese plant. with the 33 SC 12 (Prototype Championship). 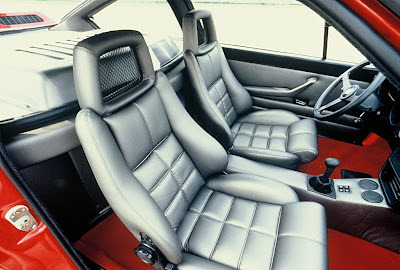 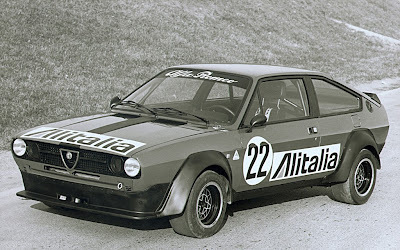 The Alfetta GTV6 2.5 (1980) became Alfa's flagship performance car during the 1980s, winning numerous races and championships including four consecutive European Touring Car Championships. the "Alfa 90” (1984) and the "Alfa 75” (1985), the last of the “Alfetta” family, was introduced to celebrate the brand's 75th anniversary. 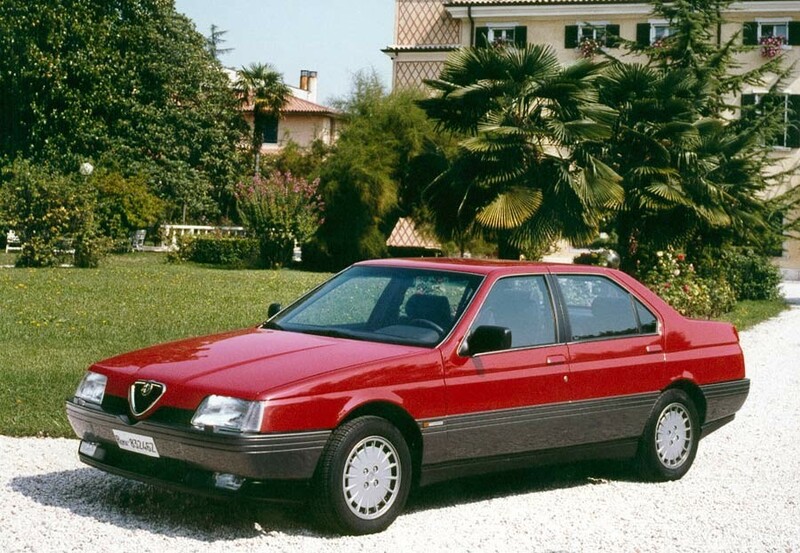 The company changed hands again in 1986, for the third time in its history. 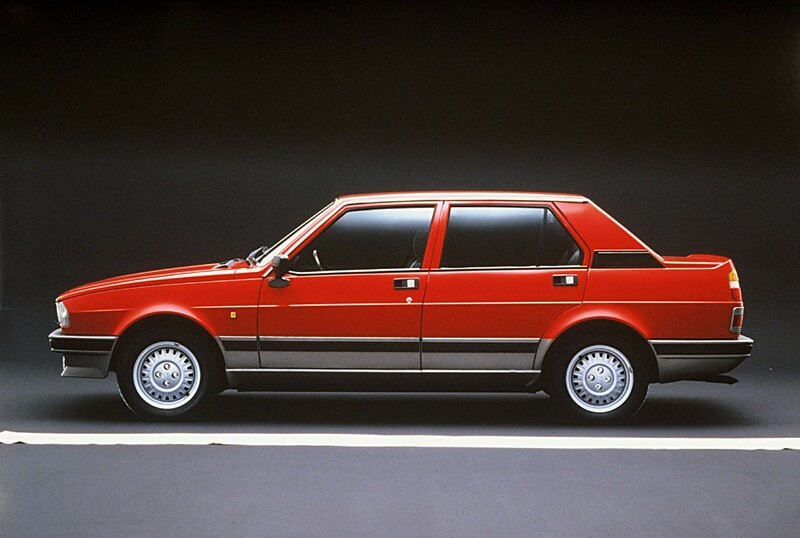 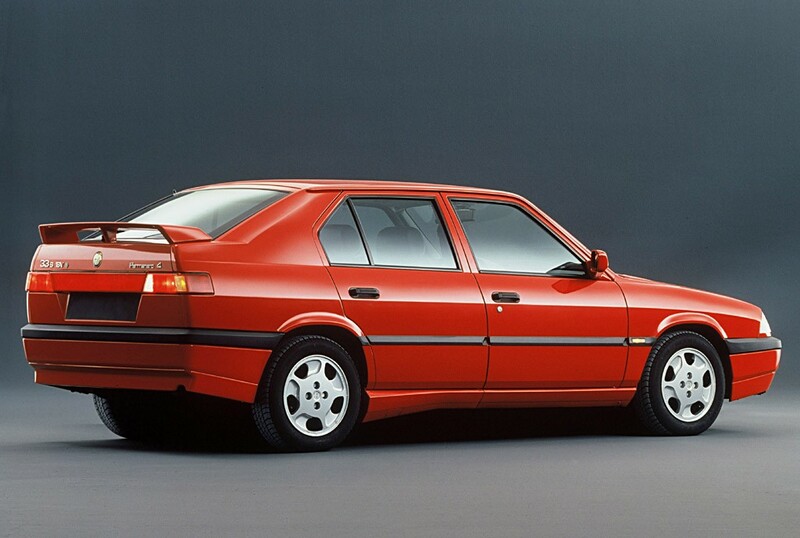 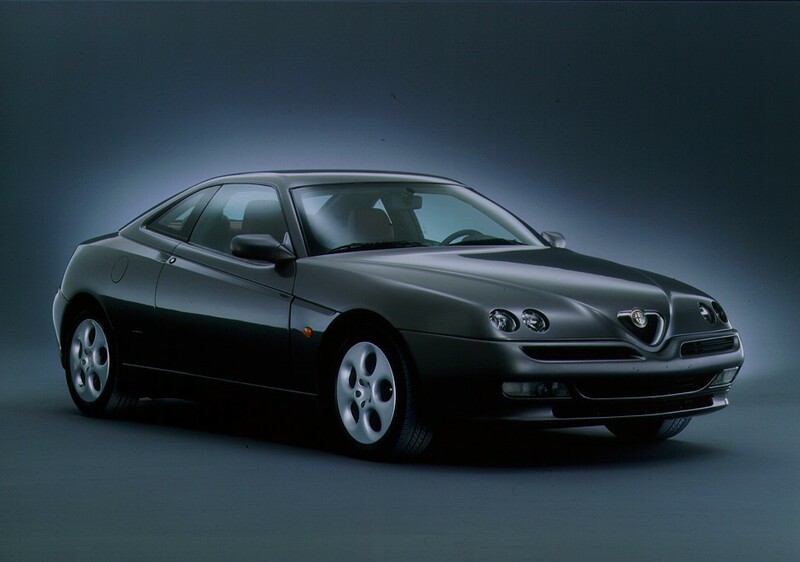 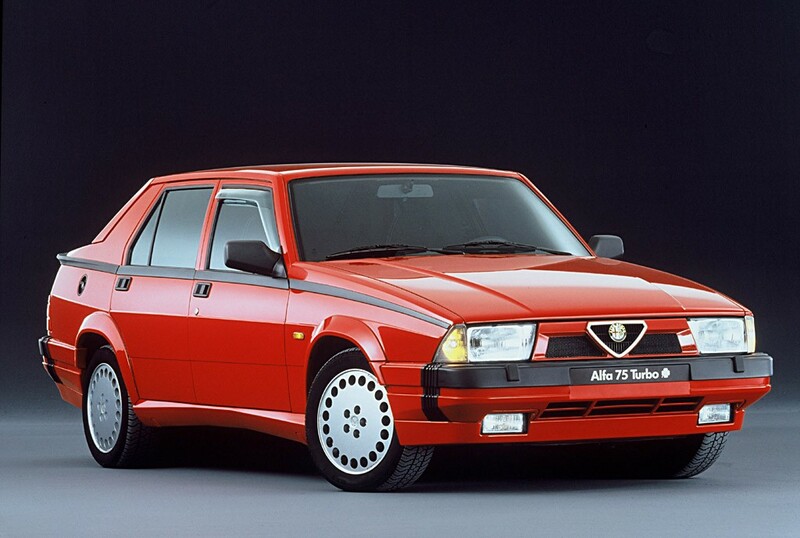 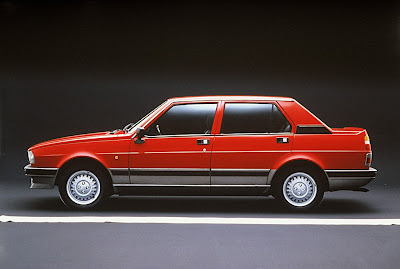 Fiat Group acquired Alfa Romeo, at that time producing the brand-new top-range saloon “164” (1987). 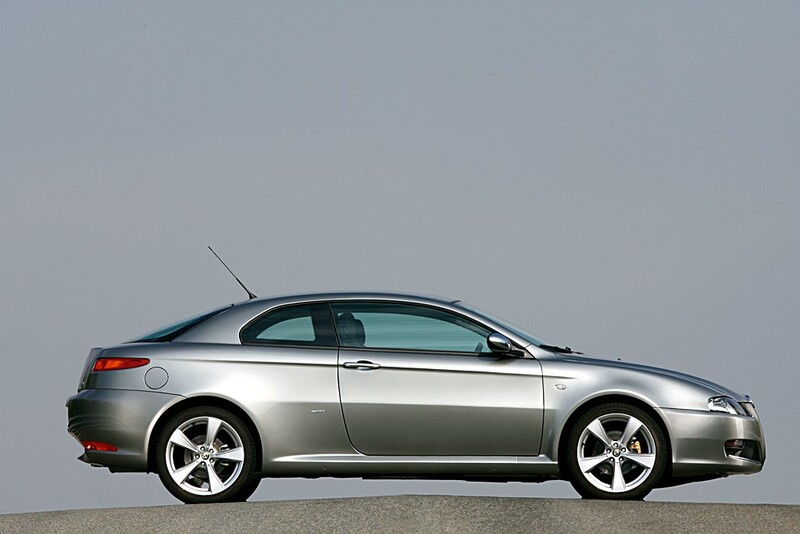 The car's success would revive Alfa Romeo and the Arese plant. 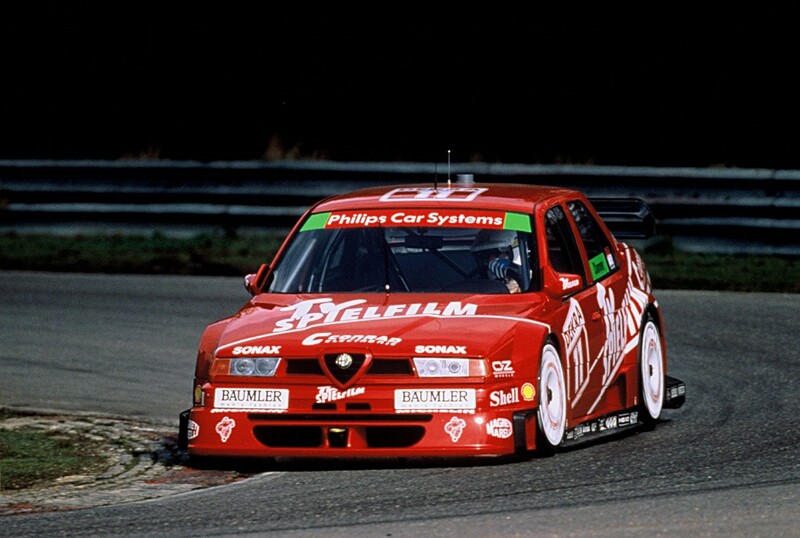 1992 was the year of the “155”, remarkably successful in races. 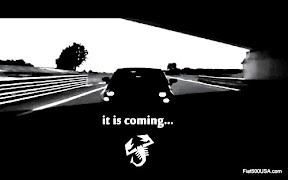 “Spider” were launched the following year. The model of the 1990s revival was the “156” (1997). 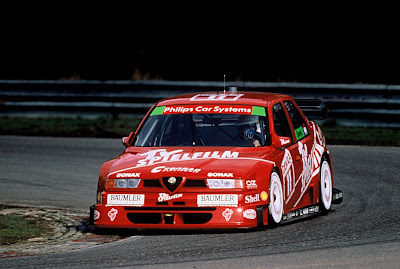 The sports sedan is the result of a new style and advanced technical contents (like high double-wishbone front suspensions and common-rail diesel engine): it was sensationally successful in the market - awarded “Car of the Year” in 1998 - and on international race tracks taking many wins in the Touring category. 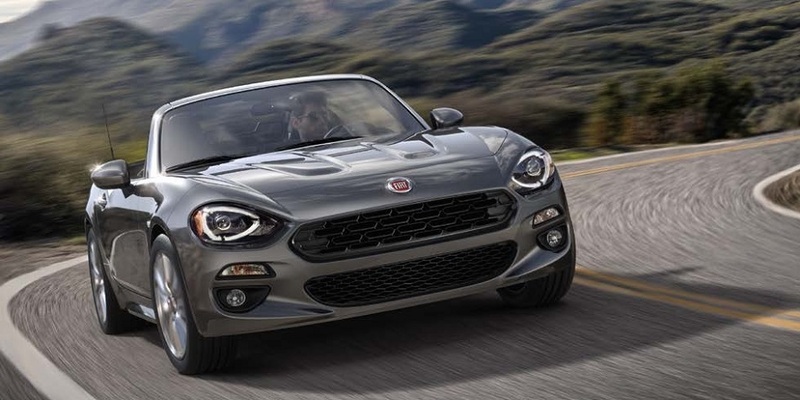 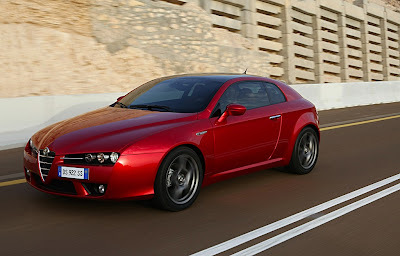 that in the meantime had complemented the range: the “GT”, a four-seat coupe with a style concept reminiscent of the “Giulietta Sprint”, was introduced in the Autumn of 2003.
the new “Spider” in 2006. 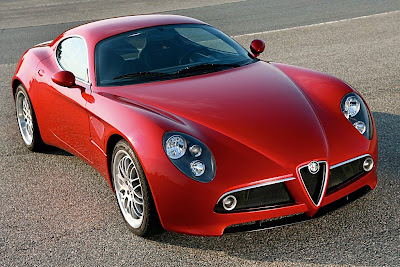 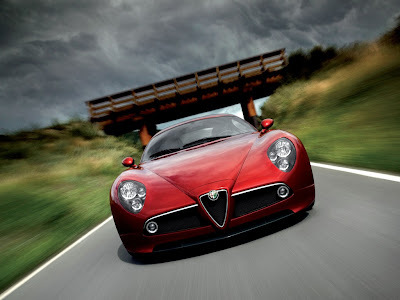 Again in 2006, Alfa Romeo introduced the long-awaited “8C Competizione”, a very high performance coupe with a remarkable design that made it an “instant classic”. 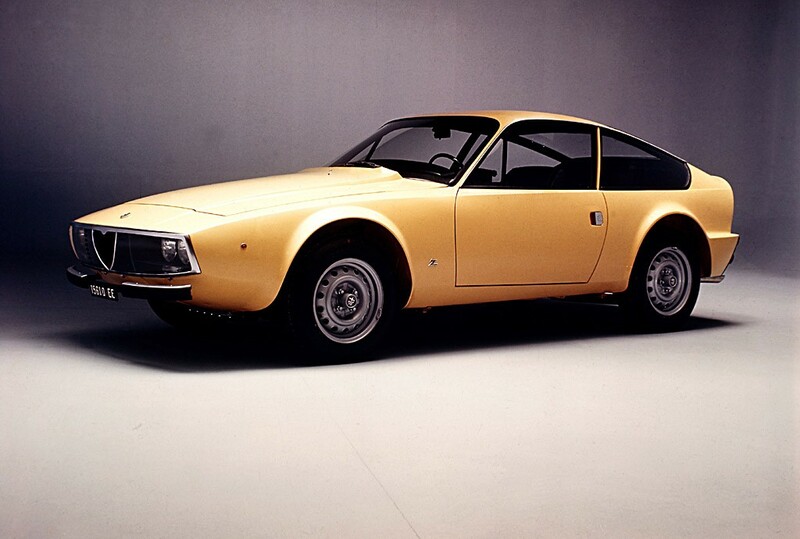 With only 500 units made, this supercar was for collectors and a handful of lucky owners. 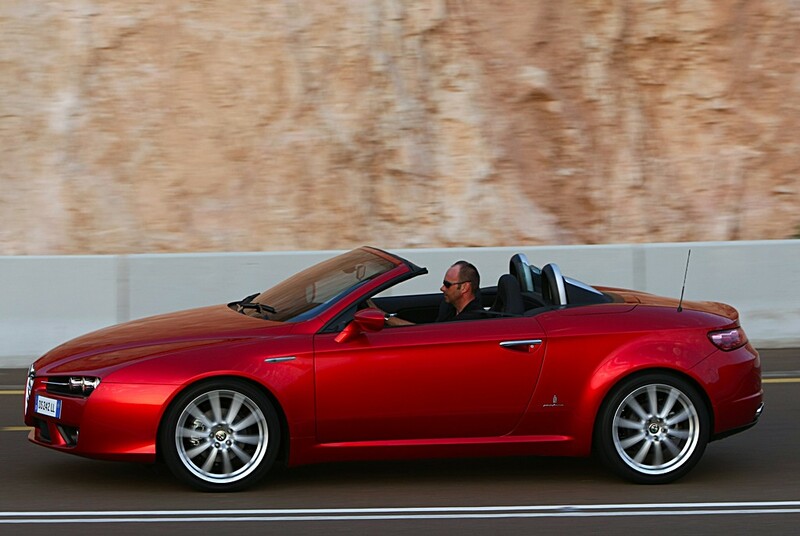 It was joined by the “8C Spider” in 2008, which maintained the same mechanical features and performance as the coupe. 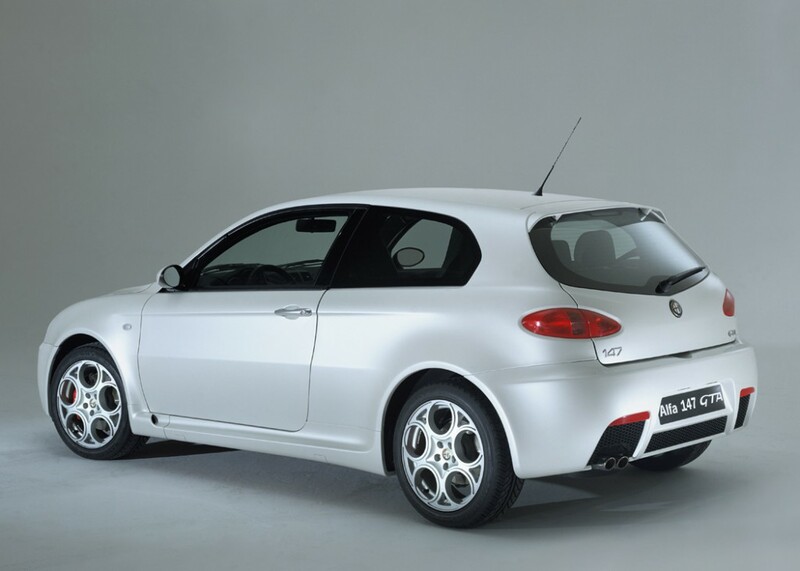 The Alfa Romeo MiTo was introduced the same year. 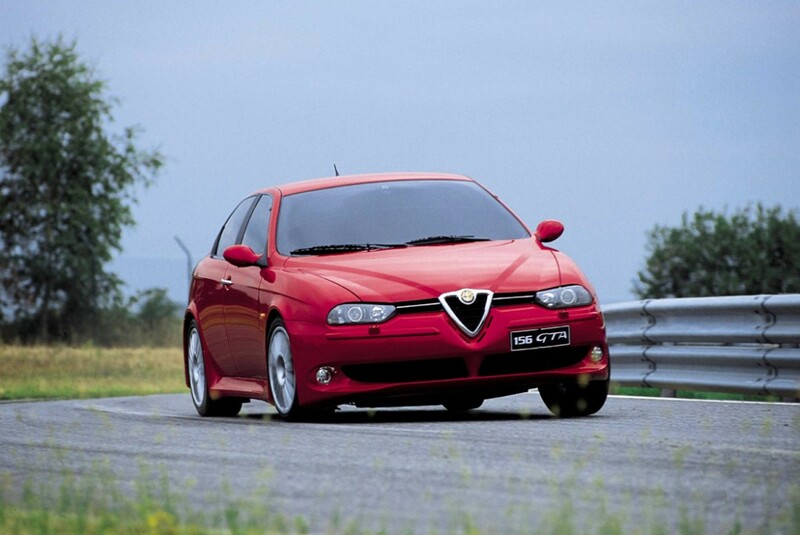 A compact car with a sporty look, for young motorists and everyone else who wants a distinctive performance car. 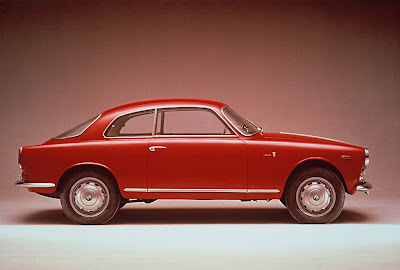 Now is the turn of the brand-new “Giulietta” with the aim of reviving the brand in one of the most important segments in Europe. In the centenary year, the name is a tribute to an automotive legend which was key in the history of Alfa Romeo: the Giulietta is a car that, in the fifties, caught the imagination of generations of car enthusiasts, making the dream of owning an Alfa Romeo and enjoying the high level of comfort and technical excellence accessible for the first time. 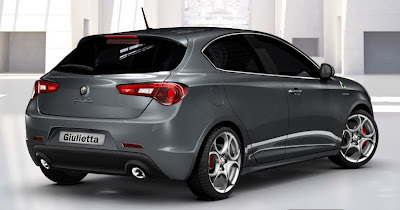 The Alfa Romeo Style Centre has designed the new Giulietta, a five-door hatchback with an unmistakable Alfa Romeo look, capable of expressing both great agility on the most demanding routes and providing comfort on everyday roads. 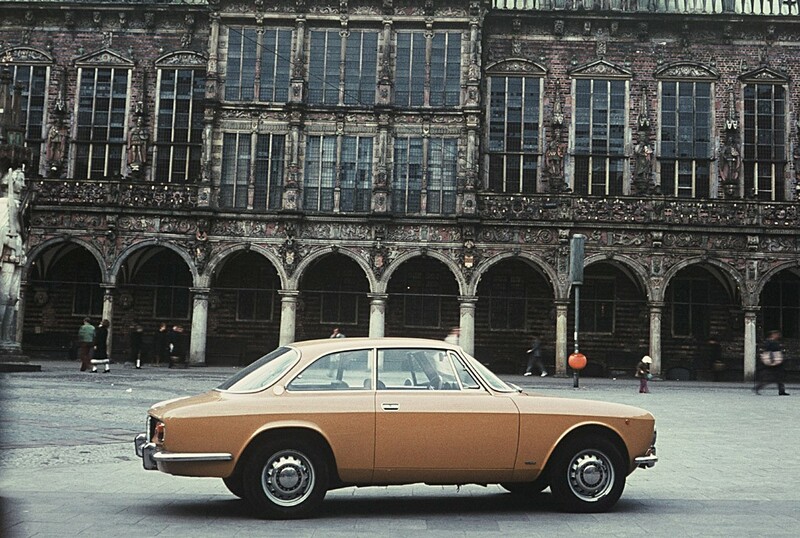 This is the merit of the new "Compact" architecture. 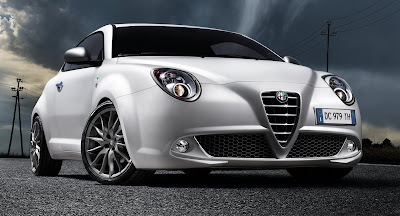 Using sophisticated suspension technical solutions, a dual pinion active steering, top-quality materials and state-of-the-art manufacturing technologies, the Giulietta achieves excellent levels of on-board comfort, dynamic features and safety (both active and passive). 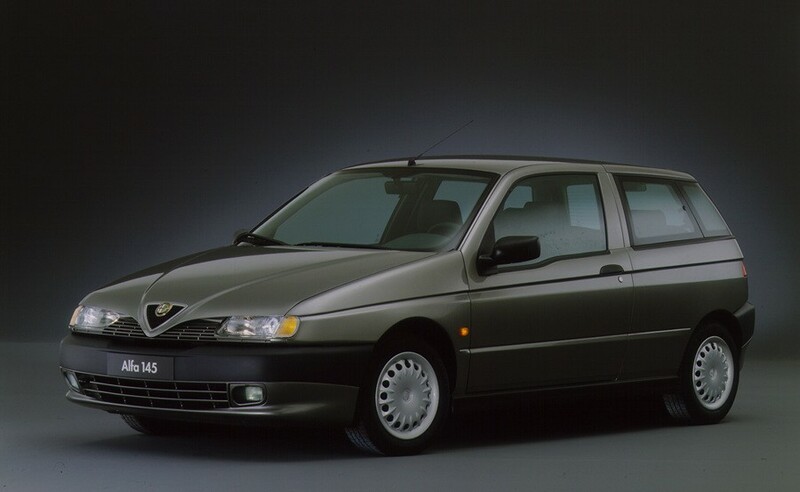 Wow, interesting to see how the trademark grill design has changed. The cool thing is you can trace the grille back at least 50 years, it has a genuine continuity about it. 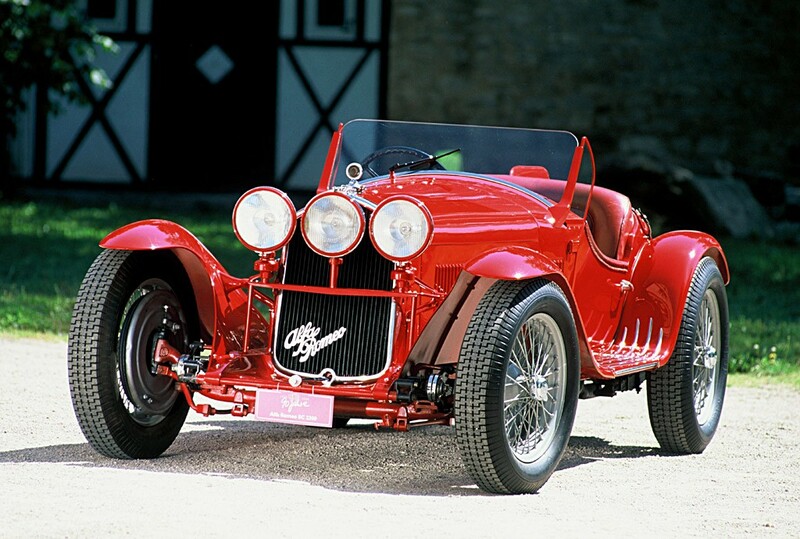 Few car companies have the heritage of making passionate performance cars like Alfa Romeo. 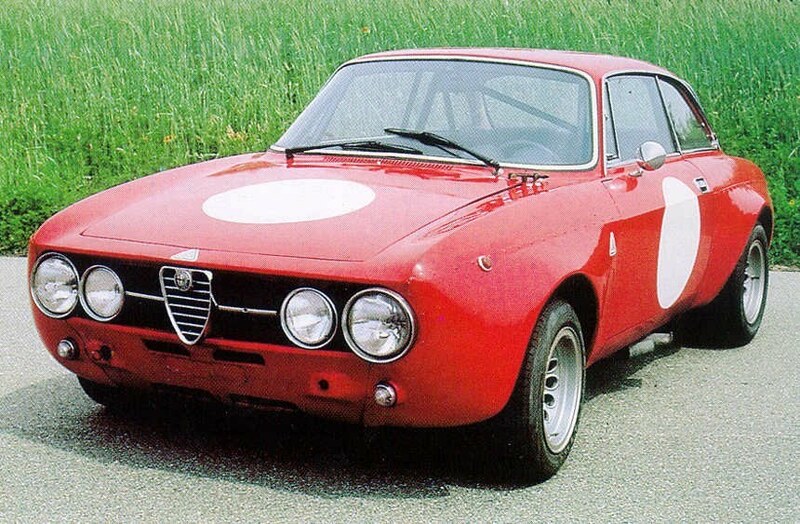 It has been said every Alfa Romeo model has been raced, and for the most part its true. 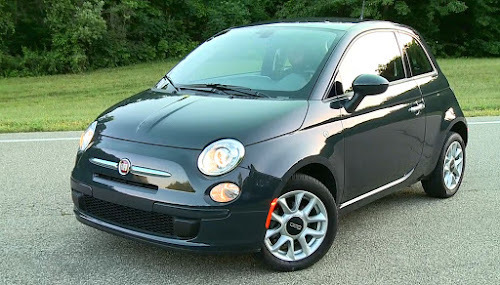 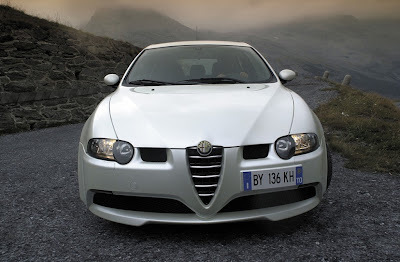 I cannot understand how Korea sells how many mediocre cars and Alfa Romeo is having a hard time selling. Look at the 159 and Brera... now compare them to a BMW or Audi. 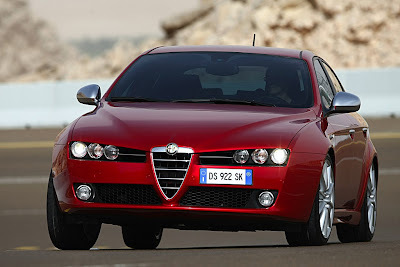 The Alfas are hotter looking. 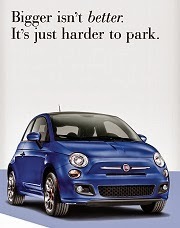 The marketing of these cars I just don't get. 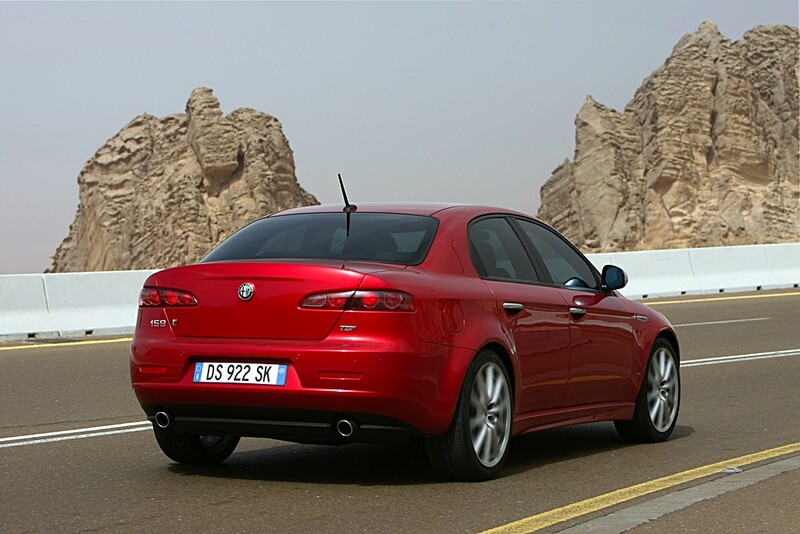 For the new Giulia, Fiat has better walk down the hallway to Ferrari and pull out all the stops. 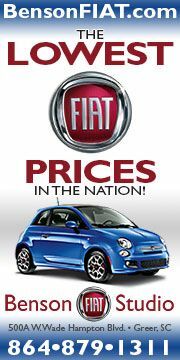 The Germans are doing it and it's about time Fiat spreads the wealth. The Giulietta is a good start, but the new Giulia better be a block buster. 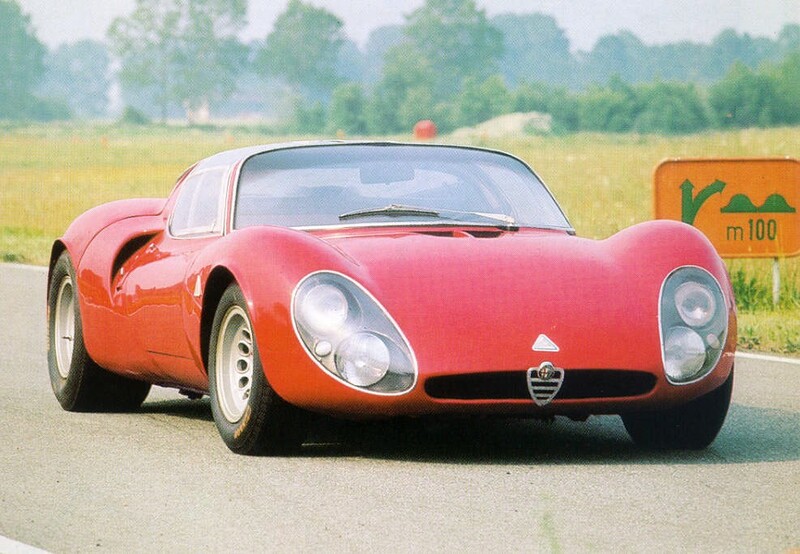 Alfa Romeo and car enthusiasts everywhere deserve it. 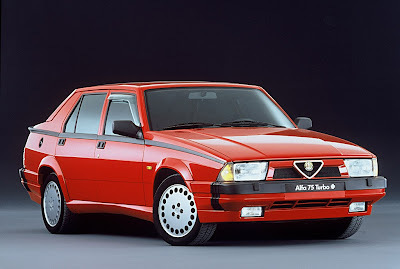 Yeah, I feel like Alfa's in some kind of internal struggle with cost/performance that's affecting their marketing focus. 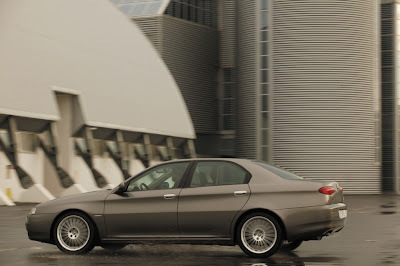 A friend of mine and me always argue about german engineering vs italians, and it seems that BMW and such have the image of being more "practical" although besides TDI, I'm very much not impresssed by german MPG. So cool to see the history, and progression of Alfa over the years. 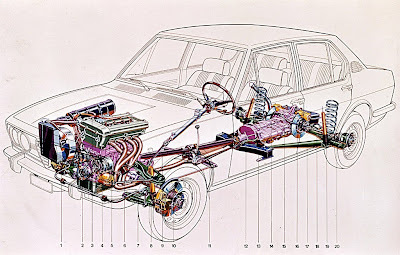 Thanks for putting it all together Chris. Perfect round-up of Alfa's history! 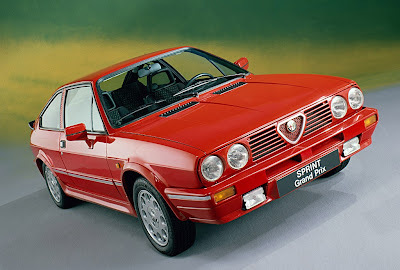 I own a 147 n Im in love with this Italian Marquee!